Read the review: Datsusara Hemp Combat comes with effective rough gi rash for your training partners but unfortunately this wears off after a handfull of washes. 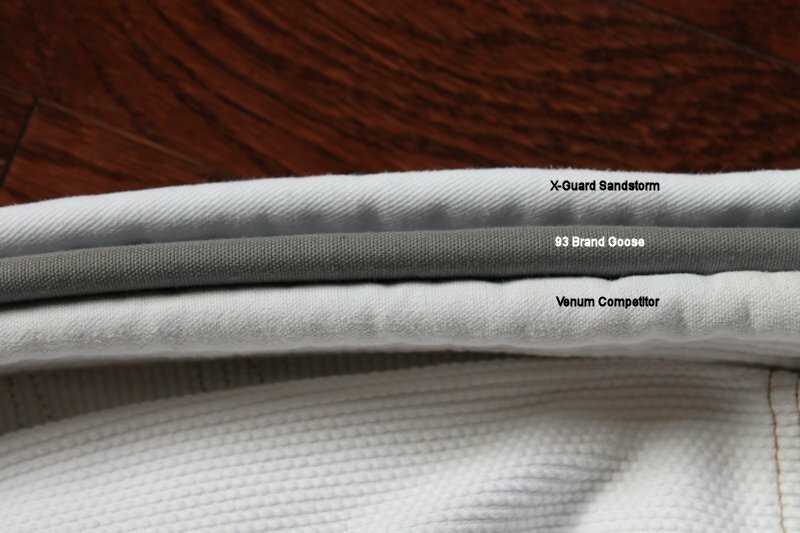 Its a specific gi for a specific grappler. To leave the corporate workers life. Whether in combat, on vacation, taking a hike or simply dealing with a daily commute, Datsusara has the gear to get you through. 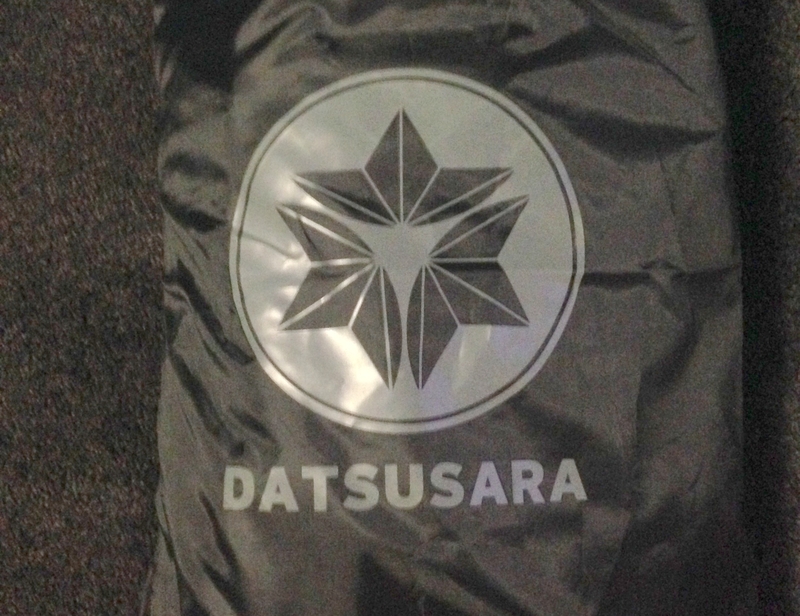 Datsusara gear is not for everyone – if “making do” is good enough for you, then we are not your brand. Our gear may not be essential, but you may discover it’s the gear that you’ve always wanted. If living your life with purpose outside the cubicle is important, Datsusara is for you. A snippet from the DSgear website. Is a Japanese phrase that expresses the desire “to leave the salaried/corporate worker’s life”. Datsusara’s mission is the creation of extremely high quality, functional gear made with hemp textiles. Datsusara gear features hemp for a multitude of reasons. In short it is the most versatile and useful natural fiber on the planet. It is naturally anti-microbial, strong, breathable and very environmentally friendly. At first look I was a little turned off. The natural white colour of the Gi to me gave off an unwashed look. Upon feeling the material I found it to be quite rough and when I put the jacket on I noticed almost straight away that this material was the type that wasn’t going to be suitable for me unless I had a rash guard on under it. I then had a look through the care instructions and noticed a recommendation to wash the Gi twice before use. Off the laundry I went. After the first wash I pulled it out and had a feel before hanging it out to dry, and noticed a little softening had occurred. It didn’t take as long as I expected to dry and with one more wash with some added fabric softener it felt softer again. Once it dried I put the jacket on and instantly noticed the difference, although I still felt the need to put a rash guard on. The fit of the Gi was nice although I did find it a little loose around my shoulders and noticed that the jacket slid of my shoulders quite a bit, this led me to develop a conscience about my broadness and led me to destroy my shoulders in the weights workouts that followed so thank you Datsusara for that. This was the first Hemp Gi I had seen and was very excited to roll in it. People within my club have started to notice that ever 4 or so weeks I have been bringing out a new gi and begun to ask questions. I let them all know that it was 100% hemp and as you could imagine the jokes began to come. I didn’t realise that not only do I train at an amazing club with some awesome people but we also have quite a lot of comedic talent with in the club. I think some of them may have missed there calling, well except for Zach who actually does quite a bit of stand up on the local scene. One recommendation was that we close all the doors to the gym and I do hip escapes up and down the mats for a while and see what happens. Back to the Gi. After a gruelling 2 hour session on the mats I had a new respect for Hemp material it was quite a warm night and with the rashie on I was surprised how cool I stayed and how soft the Gi got in just the one session. The Gi has a total combined weight of around the 2kg mark which I found quite nice. Rolling in this Gi was a fun experience its sturdy design and ability to breathe was great, however the heat in the gym combined with the rash guard seen me sweating up a storm. After a few weeks of rolling in this Gi it began to really grow on me, however with the warmer weather I think it is definitely a cooler climate gi, for me anyway. The feedback from my training partners was also all positive however the one thing that came up early in the piece was the roughness of the Gi if it was on their face, these complaints started to disappear the more it was washed. The colour of the Gi was also noted with a 50/50 response, me personally it grew on me. With the washing of the Gi the Datsusara website states that due to the properties of the hemp blend the Gi actually gets softer and more comfortable with each wash while retaining its strength, it wears in rather than out. I honestly thought this was a marketing phrase however I found this statement to be 100% true. Wash after wash the Gi got more comfortable over time. I wash all of my Gi according to the instructions on the tag and with this it states 30c wash.
1. Will not shrink on you. 2. Customer service you receive will be amazing. Chris literally shipped this Gi half way across the world and checked in to ensure I received it. 3. Gets softer and softer after each wash bring you to new levels of comfort each training session. 4. Hemp is environmentally friendly. The colour seems to put a few people off. The material can be found rather rough in the first few sessions. You will notice all the comedians come out when you mention the 100% Hemp. Over all this Gi is a high quality Gi. This one will be either one you like or you don’t. If you are not a natural white fan you also have the option to purchase the Black Combat Gi which looks quite nice. All in all this was a great Gi to train in however the Gi rash that came from it in the early phase before many washes may upset your more “sensitive” training partners. If you are in a cooler climate then this Gi would be perfect its medium weight and ability to breathe would make it a great training necessity on the chillier evenings. Overall I award the Combat Gi 3 Gis out of 5. 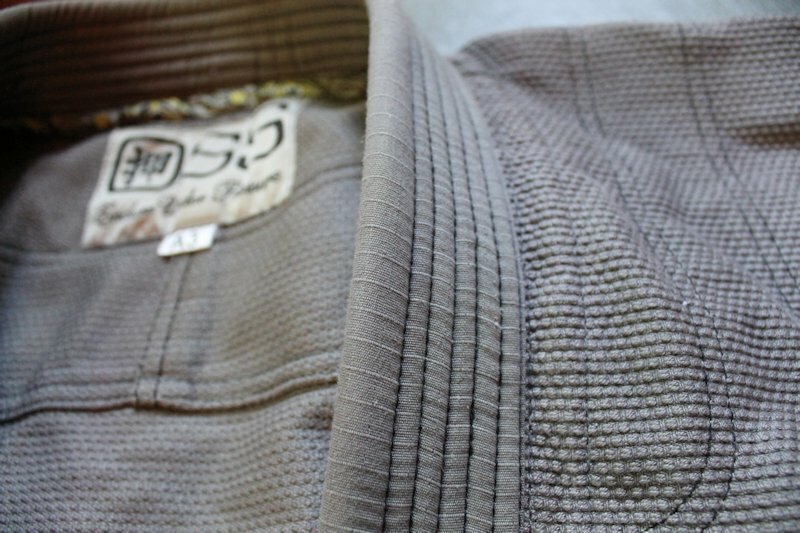 If you would like to take a look at the other gear Datsusara have to offer why not head over to www.dsgear.com to take a look at the combat Gi a whole lot more 100% hemp gear that they have to offer.